Every once in a while I get a sweet tooth and today was one of those days. 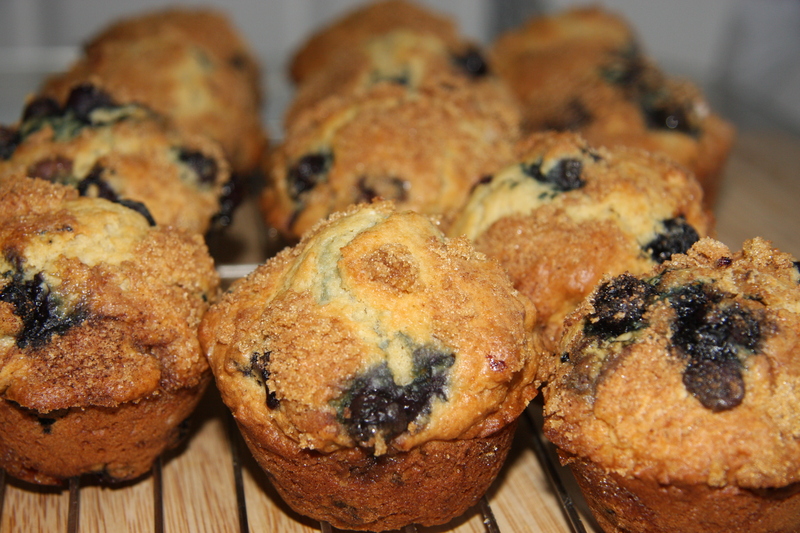 I decided to make these blueberry muffins. Quick and easy. The only hard part is cleaning out the muffin tins, which I leave to the dishwasher. So you can see that there isn’t much work and in about 35-40 minutes you have really yummy muffins. The first step is to make the streusel. 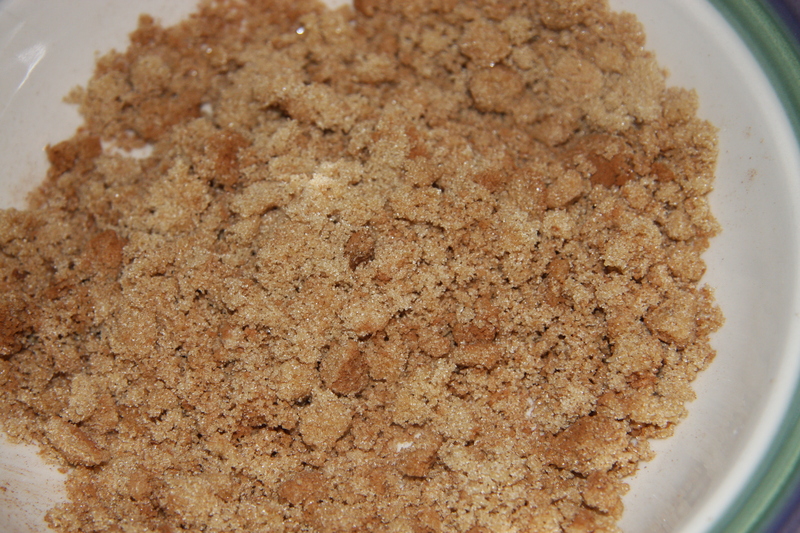 Mix together 1/2 cup brown sugar and 2 teaspoons of cinnamon. Set aside. Preheat your oven to 425 degrees and spray your muffin tins. I purchased Paderno non stick ones a while ago and have never looked back since. I never use muffin paper cups any more. I found they were a waste because you lost half of whatever you poured into them. 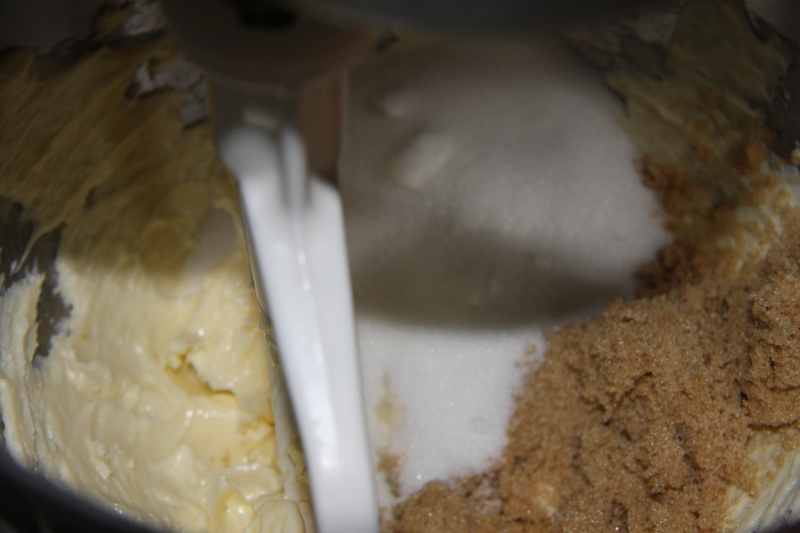 Then add 1/2 cup sugar and 1/4 cup of brown sugar. 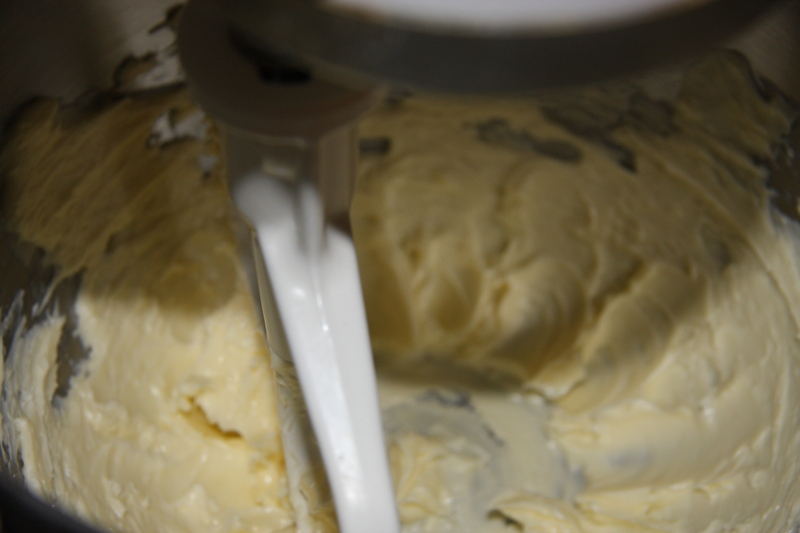 Beat until creamed, scraping down sides and bottom of bowl when needed. Add 2 eggs, 1/2 cup of sour cream, 2 teaspoons of vanilla and mix until well combined. To this add 1-3/4 cups of flour, 1 teaspoon baking soda, 1 heaping teaspoon baking powder, 1/2 teaspoon salt and begin mixing slowly while adding 1/4 cup of milk. 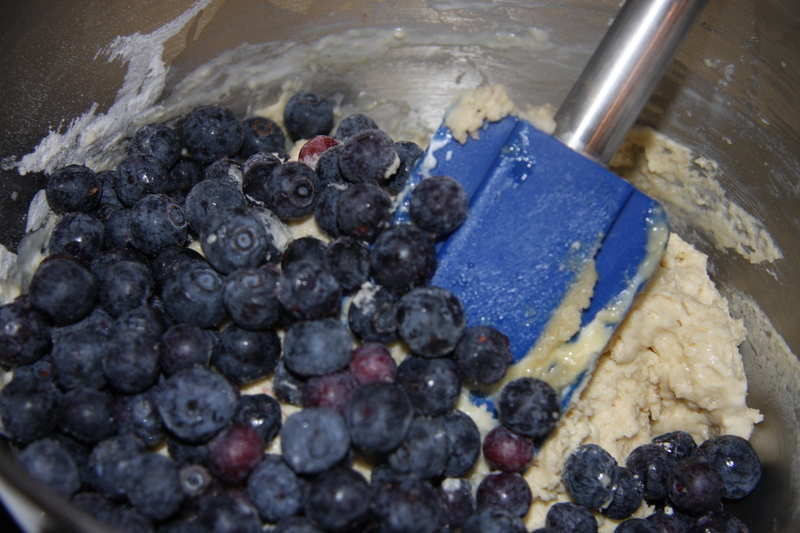 To your batter add 1-1/2 cups of frozen blueberries by hand. 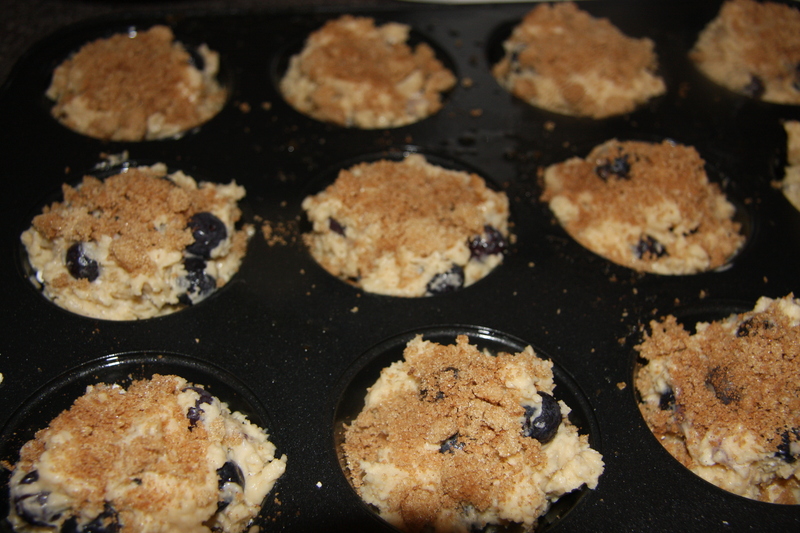 Fill muffin tins 1/2 way and sprinkle with streusel. Top the muffins with more batter making sure the muffin tins are overflowing. Then top with more streusel. Continue till you have used up all of the muffin batter. Bake in 425 degree oven for 5 minutes, then lowering the oven temperature to 350 degrees and finishing baking the muffins for 20-30 minutes. Doing the toothpick test to see if they are baked. Cool in the muffin tins for 3-4 minutes, remove muffins and cool on wire racks. 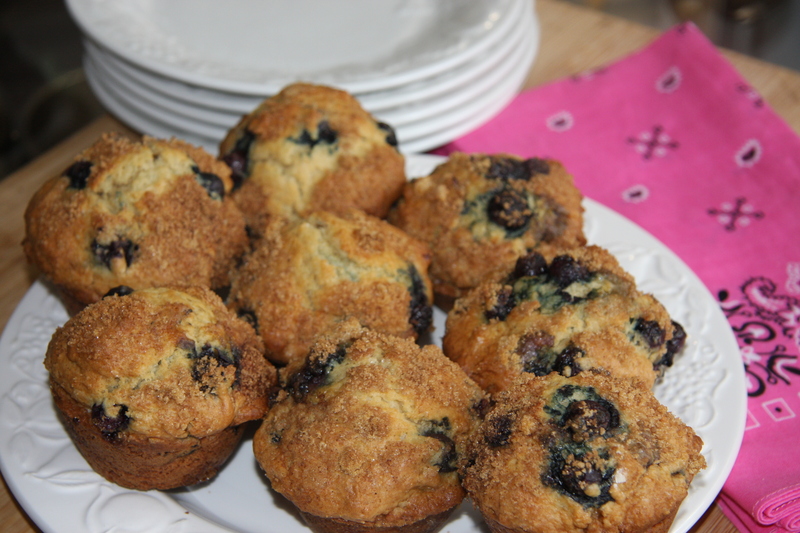 These muffins can be stored in air tight containers or placed into the freezer in freezer bags. Preheat your oven at 425 degrees and spray your muffin tins. 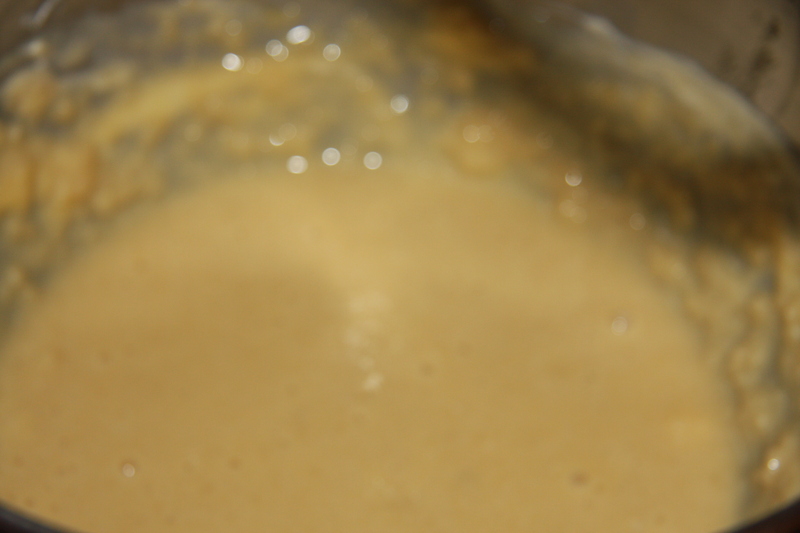 Cream together the white sugar and brown sugar with the butter, scraping down the sides of the bowl when needed. Next add eggs, sour cream and vanilla, blend well. 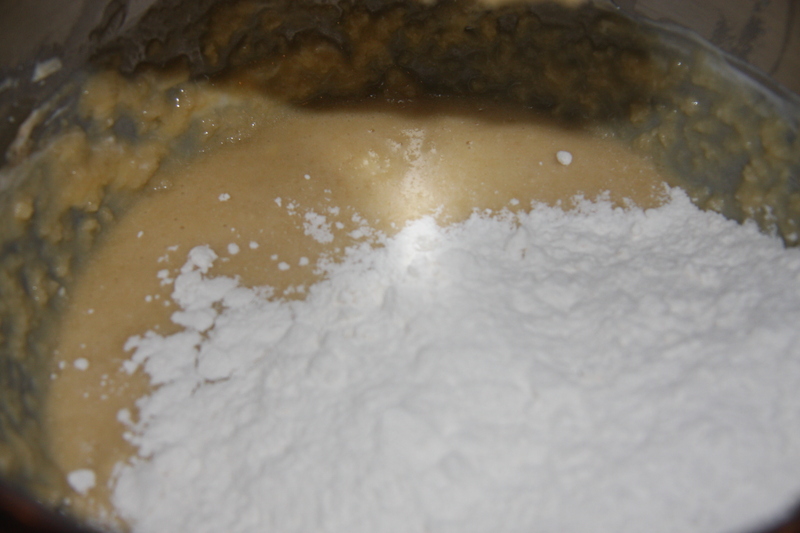 Add the flour, baking powder, baking soda, salt and combine well while gradually adding in the milk. By hand mix in your blueberries. Into a sprayed muffin tin fill each muffin holder half way. 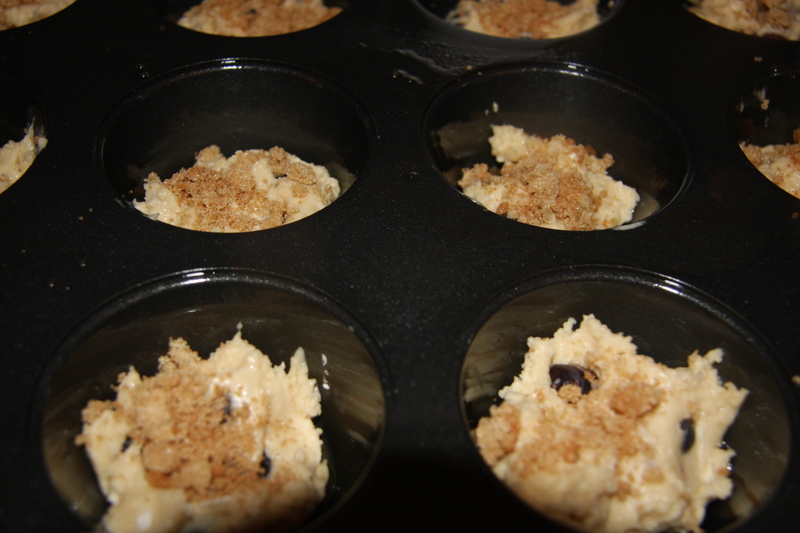 Top with streusel mix and finish topping each muffin with more batter until it reaches the overflowing stage. Top again with streusel mix. Bake at 425 for 5 minutes, then lowering the temperature to 350 degrees for another 18-20 minutes or until a toothpick inserted comes out clean. Muffins freeze well for up to 2 months.